I studied analytical chemistry at the Vrije Universiteit (VU) in Amsterdam, after which I performed my PhD at the FOM-Institute for Atomic and Molecular Physics (AMOLF). Topic of this research was the development of methodology for imaging mass spectrometry. After my PhD I joined the Biomolecular Mass Spectrometry and Proteomics group of Albert Heck at the University of Utrecht. Here the focus of my research switched to more proteomics based techniques, with the emphasis on quantitation, electron transfer dissociation (ETD) and neuroproteomics. Currently I’m appointed as Associate Professor applying state of the art quantitative mass spectrometry techniques to diverse projects in the fields of cancer proteomics and neuroproteomics/peptidomics. 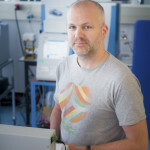 The research in the group focuses on the development and implementation of innovative mass spectrometric methods for the more efficient and detailed characterisation of proteins, protein complexes and their post-translational modifications (PTMs) in relation to their biological function in health and disease. The emphasis of the lab is cellular signaling in cancer proteomics, drug resistance, immunotherapy, stem cell differentiation and neuronal development. As such the lab has pioneered label-free phosphopeptide quantification in combination with targeted mass spectrometry (SRM), to monitor pathway specific phosphorylation dynamics. To further improve identification rates of PTMs as well as of other (endogenous) peptides that are difficult to tackle with conventional MS fragmentation technologies, the lab has been actively involved in the implementation and optimization of electron transfer dissociation (ETD) based fragmentation technologies. More recently, the group has begun implementing multi-omics approaches to understand system-wide biological responses to diverse perturbations. Maarten has currently published over 70 papers in internationally reviewed journals and in 2013 he received a VIDI grant from NWO. Besides his research line at the Utrecht University. 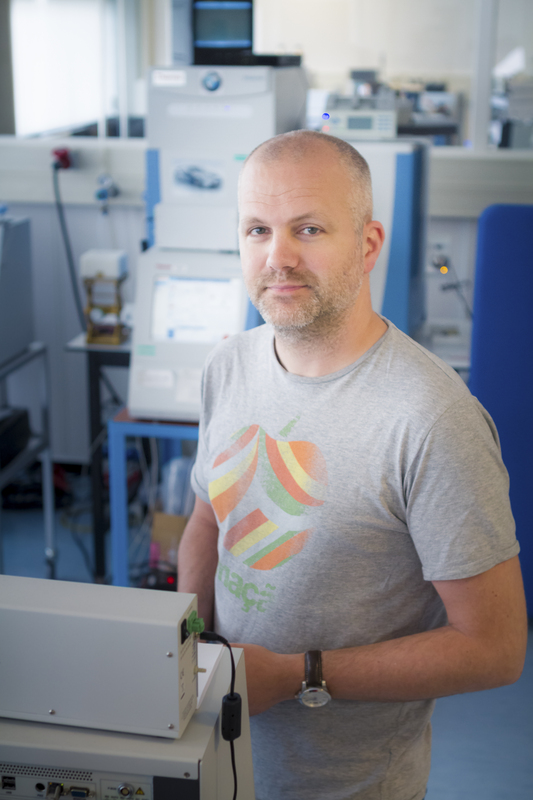 he heads the proteomics facility at the Dutch Cancer Institute (NKI) and he is currently the treasurer of the Dutch Society for Mass Spectrometry (NVMS). Associate Professor in the Biomolecular Mass Spectrometry and Proteomics Group, UU, The Netherlands. Head of the MS facility at the Netherlands Cancer Institute, The Netherlands. Treasurer of the Dutch society for Mass Spectrometry (NVMS). Associate editor EuPA Open Proteomics, published by Elsevier on behalf of the European Proteomics Association (EuPA).